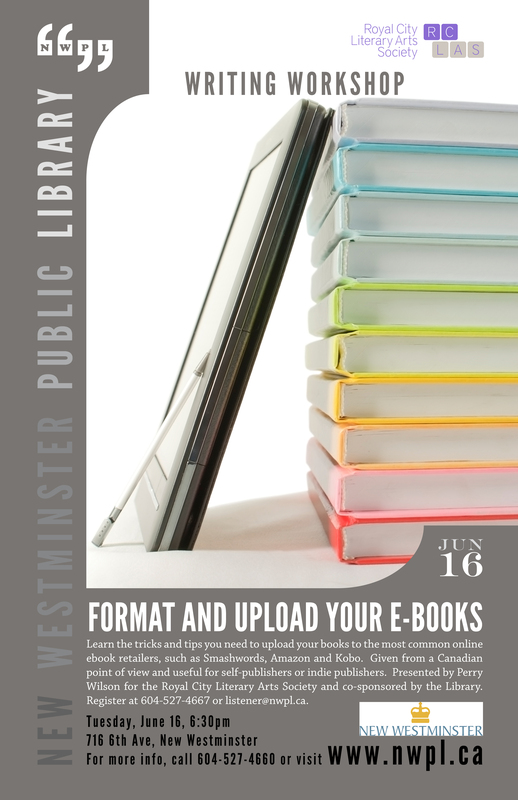 RCLAS Writing Workshop: “Format & Upload Your E-books” Facilitator: Perry Wilson Date: Tuesday, June 16 Time: 6:30-8:30 PM Location: New Westminster Public Library (downstairs) Cost: free. Please reserve a seat by phoning (604) 527-4667 or emailing listener@nwpl.ca. Self-publishing is a great way to reach your readers. Uploading your book can be a maze of formatting and tax numbers and reports. This workshop will give you the tricks and tips you need to upload to the most common online e-book retailers so your format will look great with the least effort. Get your book into Smashwords, Amazon, Kobo and other online retailers. This workshop is given from a Canadian point of view and is useful for self-publishers or indie publishers. Presented by Perry Wilson for the Royal City Literary Arts Society and co-sponsored by the New Westminster Public Library. Perry Wilson is a Canadian author based in New Westminster, BC who has big ideas and an itch to tell stories. Having spent some time on university, a career, and life in general, she returned to writing in 2008 and hasn’t looked back since. She is a member of the Royal City Literary Arts Society, Vancouver Independent Writers Group, and the Federation of BC Writers and has self-published several novels. She is the author of three series: the Quinn Larson Quests, an urban fantasy set in and around downtown Vancouver; the Charity Deacon Investigations, mystery thrillers involving a female Private Investigator who lives in Coal Harbor; and The Madeline Journeys, a fantasy series about a high-powered lawyer who finds herself trapped in a magical world. 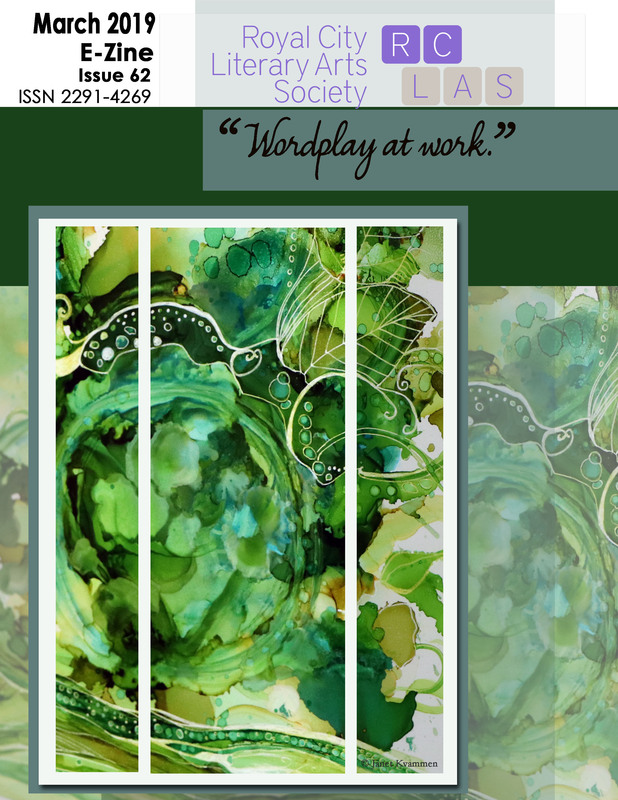 Posted in Uncategorized, workshop and tagged ebooks, free, nwpl, workshop on June 7, 2015 by rclasonline.